With the holiday weekend vastly approaching, many of you might be hitting the road to visit friends and family across the country to celebrate the 4th of July or maybe it’s the perfect time for that summer vacation. Whatever the reason for travel with family is, it ultimately means the enviable question your little ones will ask, “Are we there yet? So, how can you help your little ones escape the boredom? 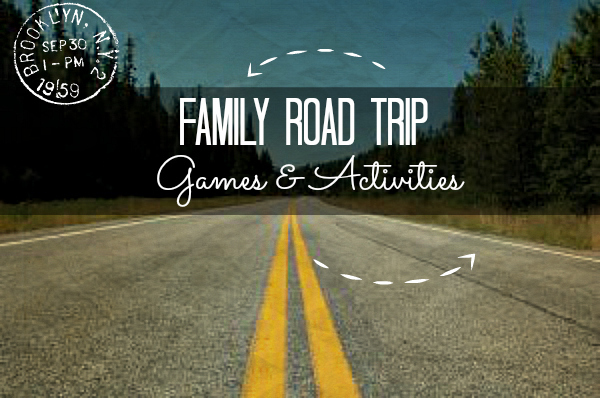 I’ve compiled some great road trip games and activities the whole family can take part in to help ease the whole families’ boredom. Games are always a great way to still make the trip interactive and fun! Beetles & Bugs: One of my family’s staple games for long road trips that took an eagle’s eye and pumped the competitive juices in the family! How To Play: Each individual tries to spot the most old Volkswagen Bugs and new Volkswagen Bugs (Beetles) to gain the most points. When an individual sees a Bug or Beetle, they should call out “Bug” or “Beetle” depending on which it was, to earn points (whoever yells it out first earns the point value of the car). If you “falsie” (i.e call out Bug or Beetle and it isn’t a Bug or Beetle) you are deducted the point worth of whatever you called. For example, Jill yells “Beetle” and when the car comes closer it becomes apparent that it is not a beetle but a mini-van–She would be deducted 1 point from her score. Additionally, if you falsie the type of Volkswagen you are deducted the point worth of the type you yelled (i.e You yell “Bug” and it’s a “Beetle”, you would lose 2 points and vice versus)—so make sure before you yell it out! Color of the Day: A family member (we always chose the driver) gets to decide the color of the day. The color of the day means if you spot a Bug or Beetle in that color you earn an extra point. 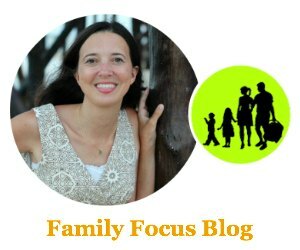 Twenty Questions: The family-friendly guessing game! How To Play: One player starts out thinking of something that falls under these categories “person, place, or thing” and shares which category theirs falls under. Then, players must ask “yes” or “no” questions to determine who or what the player is thinking of. The goal is to guess the answer in 20 questions or less. Act It Out: Much like charades but a little bit more road-trip friendly! How To Play: One player thinks of someone everyone in the car knows whether it be a family member, friend or neighbor, or even a fictional or historical character. Then give clues about the person’s identity by acting like their character. The other players can ask questions pertaining to the character’s life, characteristics, hobbies, etc. as long as they are “yes” or “no”. The player continues giving clues and the other players continue asking questions till someone guesses correctly. Memory: How good is your memory? How To Play: One person starts by naming something they could buy in a grocery story or picnic (there are a lot of varieties), that begins with the letter ‘A’ then the next person says the word previous to theirs and then adds something they could buy that begins with ‘B” and so forth. For example, person 1 says “apples,” then the next person would say, “I could buy apples, and bananas at the grocery store”. If you mess up, you’re out and the last person standing is the winner! “No, it is not___”. : Are you a good guesser? How To Play:A game of clues, rhymes, and stumping. One passenger is “it” and must think of a word (the more common and easy to rhyme, the better) and present a clue to the other passengers. If the word was “fly” as in a housefly, he or she might say, “I’m thinking of a word that rhymes with cry, but it isn’t pie.” The other passengers make guesses by giving clues to the “it” person, without revealing their guess word. “Is it something men wear around their neck?” The “it” person must figure out their clue and respond, “No, it is not a tie.” If a passenger guesses the right word, they win and become the next “it” person. Or, if a passenger stumps the “it” person with their clue, they also win and become the “it” person. Books On CD: My mom loved picking out great stories for us to listen to on road trips! And I remember it as one of my favorite things to do when hitting the road. We would all make a trip over to the library and come to a consensus on which stories we would listen to on the way. Coloring Books and Crayons: Don’t forget to include a plain notebook for your little ones to get creative on their own! Disposable Cameras: While disposable cameras may be a thing of the past, they are relatively cheap and you can still have them developed. So, give one to each of your munchkins and let them capture the trip through their eyes. You might be surprised by some of the cool things they capture along the way! Window Markers: Let your kids go crazy with creativity over the car’s windows! After you can simply remove it by wiping down with baby wipes. Easy and simple but loads of fun! Sticker and/or Activity Books: Let them go crazy and have fun! Podcasts: So many fun ones like these from NPR. There are tons of road trip games and activities you can do with your whole family; all it takes is a little planning ahead! What are some of your favorite road trip games and activities? Do you have any tips for our readers? We would love to hear about them in the comments below. Road trips are the worst if there is no plan to keep the kids occupied. Thanks so much for sharing with us!